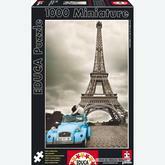 Miniature puzzles are jigsaws with smaller pieces. 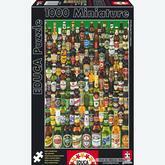 The same amount of pieces will get you a finished puzzle of smaller size which can be just what you need for that last piece of the wall that's still lacking a beautiful decorative puzzle! Miniature There are 8 products. 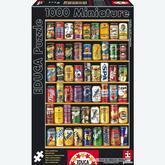 A 1000 pieces jigsaw puzzle made by Educa (reference 13782). Size: 46 x 30 cm (= 18.1 x 11.8 inch). Special series: Miniature. In stock and ready to ship out. 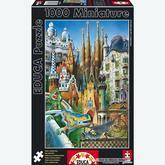 A 1000 pieces jigsaw puzzle made by Educa (reference 11874). Size: 46 x 30 cm (= 18.1 x 11.8 inch). 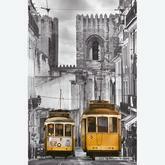 Special series: Miniature. 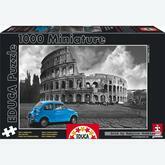 A 1000 pieces jigsaw puzzle made by Educa (reference 15192). Size: 46 x 30 cm (= 18.1 x 11.8 inch). Special series: Miniature. In stock and ready to ship out. 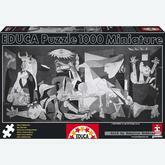 A 1000 pieces jigsaw puzzle made by Educa (reference 14460). Size: 62.5 x 30 cm (= 24.6 x 11.8 inch). Special series: Miniature. A 1000 pieces jigsaw puzzle made by Educa (reference 16764). 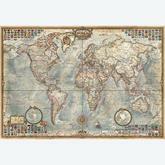 Size: 46 x 30 cm (= 18.1 x 11.8 inch). Special series: Miniature.